Leaks tend to be a “basic” roofing problem, but in the commercial setting, they pose more of a danger. A leak in your roof doesn’t just do structural damage on the roof itself; it poses a risk to your property and can negatively affect your equipment or investment. 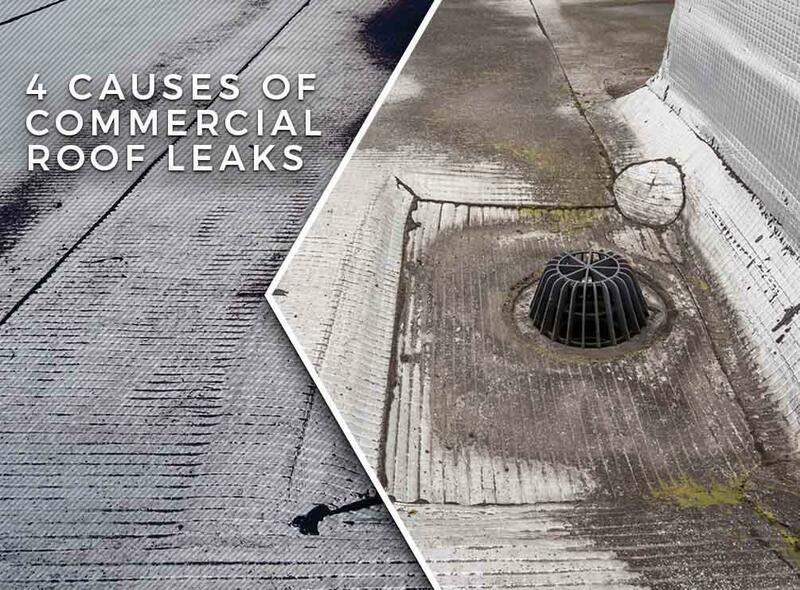 Tedrick’s Roofing lists four common causes of leaks in commercial roofing. This occurs on flat roofing systems with a clogged or improperly installed drainage. Because of the lack of slope, water will pool on the flat roof. This causes continuous water damage on the roof until the water breaks through the surface, causing a leak. The simplest way to address this is to install proper drainage or a gutter system on the roof. A roof leak usually originates at the exterior edges of the roof where the flashing protects the more vulnerable parts of the membrane cover. If the perimeter flashing is old or in disrepair, there is a high chance that water will leak into the membrane and cause moisture damage. If you notice your roof flashings are in disrepair, replace them as soon as possible. As the roofing membrane ages, the material tends to split and crack, forming a nice little access point for leaks to penetrate its surface. The danger here isn’t just structural damage, but also damage to the roofing’s insulation. We recommend replacing your old roofing membrane once it’s past its life span. Finally, any punctures or “open wounds” on your roof can easily become ways for water to damage the interior parts of your roofing. As your local roofing contractor, count on us to do proper roof repair on your commercial roofing system, preventing leaks from causing damage to your property and costing you money. Give us a call at (877) 212-9355 for more information on our services. We offer commercial roofing services throughout Auburn, WA.